I know this is late. I have to confess that I hate the Best or Worst of a Year list, so I won't give you a perfunctory revision of notable events this year in Italian football. Your level of engagement with football must be profound enough to recall personal moments of exhilaration anyway. Of course, games like Barcelona's dismemberment of Manchester United in the Champions League Final are unforgettable for many, including neutrals, but I actually forgot about the game within two weeks. It confirmed that Barcelona need only to put in a fluent performance to get the eager fingers of fawning journalists working in service of Pep Guardiola's men. Yawn. Great team, no doubt; great enough to even rival--perhaps, even surpass--that Milan team of Arrigo Sacchi and later Fabio Capello. As a Milan fan, I say that grudgingly of course. What stuck out for me in 2011 were trends. Some are heartening, others distressing. Since this is an unapologetically Italian football space, I am more concerned with how these trends can and will impact the competitiveness of Italian football in the future. That and almost solely that is always my chief concern when an impossibly rich Arab takes over a club in France or England, or when UEFA president Michel Platini triumphantly claims that with the introduction of Financial Fair Play rules fiscal sanity is imminent. The pathologies of football--greed, delusion to name just two--have been plainly evident for a while. You can add schizophrenia to that list also. On the one hand, you have bureaucrats like Platini about to purge the game of excess, and on the other Paris-Saint Germain's Qatari owners have now added themselves to the list of foreign owners seemingly committed on immoderate investment despite FFP. Manchester City's ludicrous naming rights deal for their stadium is an obvious ruse that illuminates the modus operandi of football's rich. It remains to be seen how exacting FFP's stipulation of agreeing commercial deals at market value really is. Not for nothing has Arsenal manager Arsene Wenger become more cynical than usual. Unlike his coiffure, the Frenchman seems perennially ruffled about something, but his wariness of all the talk about probity and health in football is justified. Where does this leave Italy? Platini and others have maintained that the FFP is being introduced after the complaints of wealthy owners like Silvio Berlusconi and Massimo Moratti. There certainly appears to be, then, two classes of rich people in football currently. The ownership of Manchester City, PSG, and to a lesser, but still considerable, extent Chelsea, are willing to spend for success. Moratti and Berlusconi, however, do not seem willing to test the limits of FFP. 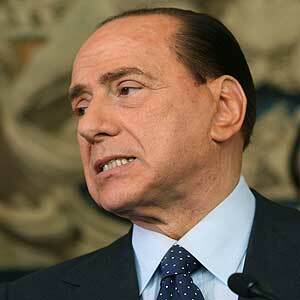 "The money in football is crazy," said Berlusconi recently. "Don't forget that PSG have Qatari investment behind them now. I have made generous, perhaps too generous, investment in Milan for many years." Even his disgraceful exit from politics this year seems not to have diminished his posturing. FFP is the perfect alibi for Berlusconi, who has spent considerably less on players over the years because he simply does not want to any longer. The folks at Inter have been much more candid about their plans. CEO Enresto Paolillo has come out and said clearly that Inter's strategy has changed, and they will sign much younger players. Their market plans cannot get going unless they sell big, and Wesley Sneijder is the one player who can bring in a lot of money, so he may indeed be sacrificed. In a country where methods of merchandising, sponsorship, and, most importantly, private ownership of stadia are embarrassingly outdated or non-existent, taking away the ability of a patron to intervene when needed seems to be a crushing blow to its football. But there are mitigating factors. For one, Juventus unveiled their sparkling stadium, Juventus Arena, as proof that even in Italy, bureaucracy and vested interests can be overcome. The Bianconeri deserve all the plaudits for their feat. Their stadium will reportedly take their income to fifteen percent of their revenue, providing them a far more balanced portfolio. Serie B side Reggiana--distinct from Reggina--are the only other club in Italy to own their stadium, the Stadio Giglio. There have been encouraging efforts towards private ownership of stadia, but they remain incipient, paralyzed by a toxic bureaucracy. The law known as Legge Crimi, which I wrote about in 2011, still remains dismayingly far from fruition. Despite the delay, clubs are approaching city councils in a hope to refurbish dilapidated stadia, and leading this initiative are trailblazers such as Napoli president Aurelio De Laurentiis and Roma president Thomas DiBenedetto. Milan have not pursued the idea of owning an arena. Vice-president Galliani asserted that what Juventus have done in Turin is "impossible" to do in Milan. Instead, they have struck a lucrative deal with the largest oil company in Albania, Taci Oil, whose owner, Renzart Taci, is a committed Milan fan. It is now common to see Taci digital billboards at San Siro. There is some hope, then. It was difficult to imagine that Italian clubs, long at the forefront of Europe, would surrender so easily to the English, Spanish, and the Germans; so, on the field, Italian clubs have enjoyed an outstanding run of results in Europe, a rare sight made even rarer in recent years by the Europa League, which is widely seen as a contemptible, bloated cousin of the Champions League. However, both Udinese and Lazio are through to the next phase of the competition, and that achievement coupled with Napoli's ability to squeeze out of a Champions League group containing the heavyweights of Bayern Munich, Villarreal, and Manchester City makes Serie A serious again. The Partenopei face Chelsea in the round of 16, while Milan take on Arsenal, and Inter Marseille, ties that have all been deemed easier-than-what-could-have-been. While the progress of Milan and Inter in the Champions League hasn't startled anyone, Napoli and Udinese have humbled even the most dedicated Serie A critics. Udinese's 2-0 win over Atletico Madrid at the Friuli effectively sealed their qualification, and it came despite no Antonio Di Natale, who was rested. Even after selling Gokhan Inler and Alexis Sanchez, Udinese have not only remained competitive, but have perhaps enhanced their reputation as a club that has a vigorous scouting system and monumental self-belief. Against Celtic, at Celtic Park, hardly the place for a stroll, Udinese coach Francesco Guidolin rested almost all his players and came home with a 1-1 draw. "We must interpret the competition this way," said Guidolin of the Europa League, after he was criticized for his apparent temerity. "Otherwise our youth won't get a chance." Napoli, who admittedly operate on a budget superior to that of Udinese, dismantled Manchester City with the same swagger. It is the Italian clubs' renewed trust in the system, as a purely footballing approach, that is sparking both a sort of revivalism--dispelling notions that the way Italian clubs play is not 'modern enough'--and a movement that is inaugurating and adopting long-needed ideas. 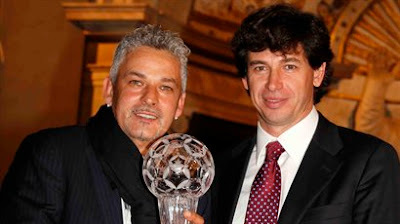 Former Italian football legends, Demetrio Albertini, who is the vice-president of the FIGC, and Roberto Baggio, who oversees the technical sector for the FIGC, have identified specific areas of improvement, chief among which is the way the youth is handled in Italy. "There are too many foreigners," said Albertini earlier in 2011. "Our youngsters don't get chances because clubs rely too much on foreigners." Seems like a reductive and xenophobic statement, but it has an element of truth. Italian clubs simply have not been nurturing talent, talent that is becoming increasingly diffident because of the lack of opportunities. Hopefully, Albertini works with clubs to make the youth systems more appealing for them; indeed, with the FFP, the youth systems of clubs could become even more crucial. On the international scene, the Azzurri under Cesare Prandelli look ardent enough to register on Euro2012. The group containing Ireland, Croatia, and Spain looks difficult, but I can see in the team, even if in glimpses, the same confidence that Marcello Lippi had instilled in his team before the 2006 World Cup triumph. Even Antonio Cassano's illness and Giuseppe Rossi's injury have done little to quell expectations of players and fans. Prandelli must find the competitiveness of Serie A gratifying. Milan and Juventus sit level on points, with Lazio, Udinese, and Inter all in pursuit of top-spot. Napoli and Roma will have some sort of say on the Scudetto-- if not directly, then indirectly in the form of taking points off the leading pack. Italian football may be battered, but it is by no means moribund. As an expression of football, it still holds some power over Europe, and 2012 may be a rewarding year for its school and philosophy. Away from the bureaucratic battles, these battles and trends are heartening. Really enjoyed this piece. There really isn't enough discussion about FFP in the media - at least in the UK press. Football is in a strange place at the moment and it will be interesting to see what happens over the next couple of years. Very little will actually change I suspect until a really a big club goes under. Liverpool were days from administration less than 18 months ago and it really got me thinking about how football's values are totally messed up. Your blog has renewed my interest in Italian football and I intend to start following it more closely. La Liga has become a rich man's Scottish League so Italian football seems to be worth investigating again. Keep up the blogging! Hey Conor...welcome to this space! I'm just as cynical as you regarding FFP. I just hope it does promote a degree of parity. I'm honored that my blog has renewed your interest in Italian football. I'm interested to know what else, if anything, Albertini has said regarding the presence of foreign players in Serie A. Of course in the other forum in which we coincide I am a big proponent of home grown players and domestic players in general. I grew up in the pre-Bosman era as you did so I harken back to the days of the three foreign player rule. I remember how people thought Milan were so audacious in the summer of 1992 (if memory serves me correctly) when they signed Papin, Boban, and Savicevic to take their total of foreign players to 6, knowing full well they would have to leave 3 in the VIP box every week. In any case, I do think that Albertini has a point. And it is particularly amusing when it occurs in countries like Italy and Spain because traditionally the Italian and Spanish players have always been technically adept whereas perhaps you could understand why (no offence) Scottish teams might want to import the more skilled players from the continent. It is a conundrum to say the least. I for one can see no benefit to signing a player like Hamit Altintop who has effectively closed the doors for a player like Esteban Granero. And is he really any better? We spent 20m on Fernando Gago and as a result never gave Javi Garcia an opportunity. Of course Garcia has gone on to star for Benfica and has been linked with Manchester United and Milan in the last several months whilst Gago never broke into the team on a regular basis. I wonder what a difference it would make if there was a return to limiting foreign players. There was talk of the 6+5 rule but I don't know what ever happened to that. In any case, now I am rambling on. What I initially meant to post was "nice article"! So now I've said it. :) All the best in 2012.